This cutting-edge and innovative theme for BlackBerry is the ultimate in futuristic design. Observe how the sleek title panels fly across your home screen as you scroll through. 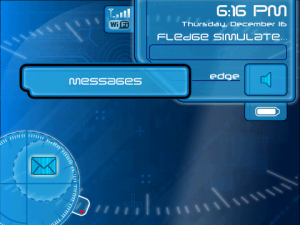 Watch in awe as the edge of the screen pulses when you receive a new notification. With the new Re-Evolve theme, the future is truly here.